Pretty and delicate way to keep your favorite jewelry pieces at hand. Earrings hang neatly between the points. Others pieces can be stored in the center. 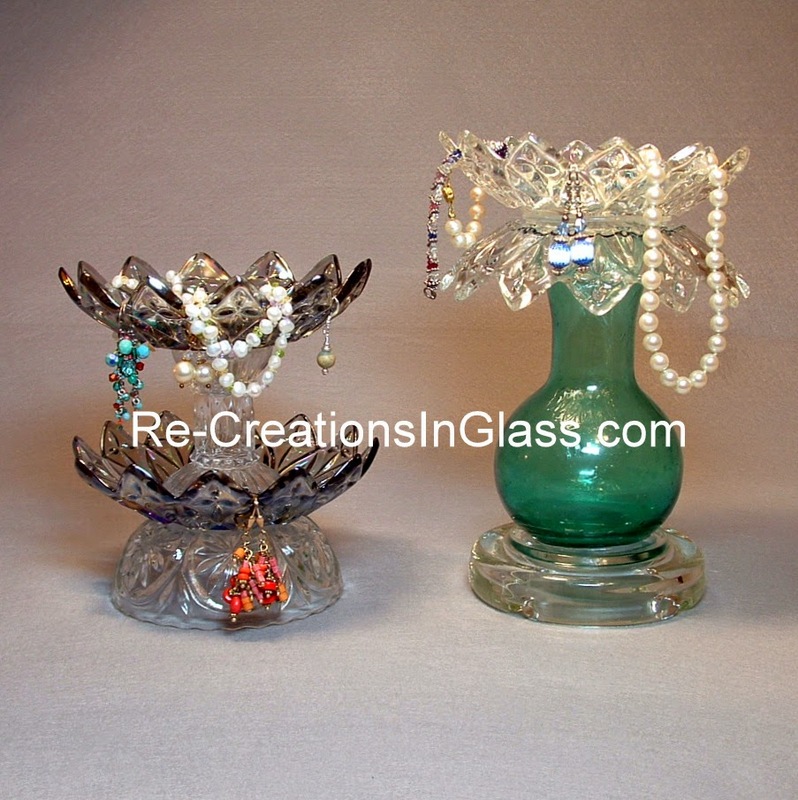 Both are made with re-purposed glass. Really pretty on a vanity.